INDUSTRY STANDARD HARDWIRED SYNC CABLE FOR DUAL STROBE USE. 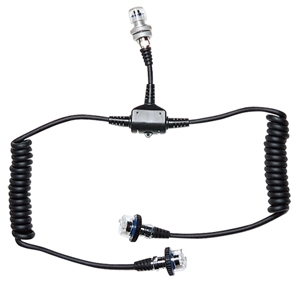 Connects two compatible YS-series strobe to any underwater housing with an industry standard Nikonos 5pin type bulkhead. Top and bottom blanking caps included.